If you’re looking for an affordable ultra-high-end pre/pro that will sound great in both two-channel and surround mode, and you don’t need HDMI support, this 2003 Lexicon MC-8 is an excellent value. So I faced the choice: Do I stick to my music roots and set up a two-channel system, and use it for music and TV/movies, or do I go for a surround system that will perform double-duty (somehow) as part of a home theater? I already had a Marantz SR6001 home theater receiver, a big heavy chunk of a machine, that was performing well. It has pre-amp outs, and I’d bought it for a song on the used market. So I pressed it into service for home theater, adding a Mirage OM-10 as front L/R, a Mirage center channel, and a pair of Mirage OM-12 as surrounds, along with two SVS 20-39 PCi 12″ cylindrical subwoofers. I’d bought all these items on the used market in good, usable condition. I connected the optical output of my TV to the Marantz, and away we went. 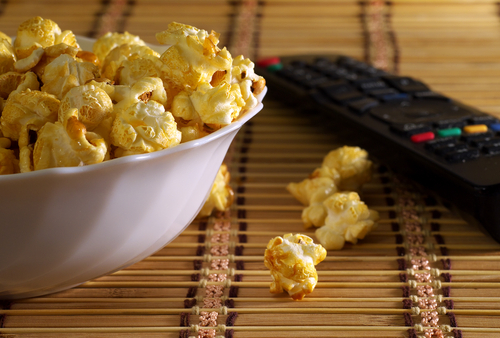 Movies, especially those on Blu-ray and in 4k, sounded pretty darn good. But as far as two-channel music went, something was missing. The Mirage OM-10, with their dipole design, sounded OK for music, as long as I didn’t listen too critically. They sounded spacious and full, as dipoles should, but there was a level of detail missing. There was also a big hump around 80-90 Hz, which I couldn’t avoid hearing. So I started playing around with having two separate systems in the same room – one for two-channel audio, and one for home theater. The old Bryston 3B-ST amp was powering a variety of nice little stand-mount speakers, including Elac B6 and Pioneer SP-BC22-LR (try remembering *that* name!). But they were proving too weak for my room (14′ x 25′). Just not enough oomph to get to listening levels I enjoy. Around the same time, I’d started building my own speakers, with an eye towards having a single set of speakers across the front, a set that would match, and that would perform well for both two-channel music listening and movie-watching alike. I was starting to think in terms of combining the two systems into one. If I could pull it off, it would save a lot of space, and simplify on connections, cables, etc. It would fit much better with my minimalist mindset. Then, randomly, usually once or twice per movie, in certain surround modes including the one I preferred, the Marantz started cutting out the center channel. It would crackle and then cut out. I could turn it off and on again, and the problem went away. But it was annoying. And via A/B comparisons against an old Bryston 0.4B preamp (two-channel), and even against a simple setup running a Raspberry Pi/Hifi Berry setup directly into the amp, I knew the Marantz wasn’t nearly as strong on two-channel as I’d prefer. The other setups made the Marantz sound grainy and lacking in detail. I knew I could do better. I already had lots of channels of dedicated amplification at my disposal – 13 to be exact – including models from Rotel and Bryston, so technically I didn’t need amplification via a home theater receiver. I could get by with a simpler pre-pro, and let the amps do their thing for all channels. (Out of convenience, I had been letting the Marantz drive the center channel and surrounds.) Maybe, if I looked hard enough, I could get something in a lower-profile unit, one that would take up less space and be less cumbersome to move and look at. But above all, my future pre-pro needed to sound great for both two-channel listening and home theater surround listening. I knew it had to be high-end, and I knew it had to be used. It didn’t need HDMI support. I manage all that through my Sony TV, and I send audio signals from the TV to the receiver/pre-pro via optical outs. I also wanted to make sure it had a variety of digital and analog inputs, for Chromecast Audio, CD player, and vinyl rig. It didn’t need a built-in phono pre-amp. My Monolithic PS-1 covers this. I also knew I didn’t necessarily need onboard room correction like Audessey, because I already manage room correction through MiniDSP, between pre-amp and amplifier. I wasn’t about to pay $5000+ for a new high-end home theater pre-pro, when I knew I wouldn’t be using all the options (HDMI support, upscaling, networking, etc.). I decided I would be comfortable spending up to about $500, or maybe a pinch more for a unit of outstanding quality in top condition. This opened for consideration a bunch of older-model options from brands at the very high end – Krell, Anthem, and more. To get to the right price point, I’d need to look at models circa 2005 and earlier, although I also considered products like the newer Emotiva XMC-1. These were offering just what I needed, but most of them offered a bunch of features I didn’t need and knew I probably wouldn’t use. I hate paying for stuff I don’t need. The other problem, and I let this be a big one (though for many it won’t be), is that most of them – Krell, Anthem, Emotiva, despite not having on-board amplification, come in a rather large chassis. This could not do. And I wasn’t 100% convinced the Emotiva would perform at the level of a Krell or Anthem. They were all intriguing, but I kept looking. I scanned all the places I could think to scan online – Audiogon, The Music Room, and even Craigslist ads in Denver and Fort Collins. I’d be willing to drive an hour or two for the right pre-pro at the right price. In my search, the name Lexicon started popping up. I’d heard of it, but didn’t know any details. I’d never been in the market for this kind of component. I’ve had friends who own Anthem and Krell, and I’d heard various model from each of those, and I’d heard and read enough about them to know that they’d probably sound pretty good. But Lexicon? No experience. After a few weeks searching, I noticed that The Music Room in Broomfield, CO, had a few Lexicon processors. At the same time, they had a bunch of Anthem and Krell to choose from. They tend to have a good selection of items like this. The downside – they’re just a warehouse. There would be no way to audition any of them, at least not the specific models they had to offer, unless I could find someone who owned one. This would be a long shot. I’d be buying sight-unseen, sound-unheard. It went against just about everything I’d come to practice when I go looking for used gear. But … there was Lexicon. I started reading everything about the brand I could get my hands on. Old reviews, recent reviews. Everything I read suggested that a Lexicon unit could represent the quality I sought in two-channel, and it could offer excellent surround processing as well – maybe, possibly, a step of from the Marantz in terms of surround processing, but this was a nice-to-have as far as I was concerned. Lexicon has a great, long-running reputation in the studio industry, and is well-known for its high-quality processors in this context. And, The Music Room was selling the Lexicon MC-8, a model originally launched in 2003, but which quickly fell out of favor – not because of sound quality, but because it lacked HDMI support and room correction, both of which entered the market around or shortly after 2003, rendering the MC-8 obsolete, almost as quickly as it hit the market, for those wanting HDMI support. It had all the inputs and outputs I was looking for. It had none of the features I wouldn’t use and didn’t want to pay for. No room correction. No Audessey. No HDMI. No FM or AM tuner. At $550, it was close to my budget. And here’s the kicker: it had a low-profile chassis, and a pretty one at that. Besides the fact that I wouldn’t be able to audition it and make sure everything worked, there was another problem. No remote. And many of the settings aren’t accessible from the front panel. I wasn’t about to spend $550 and then another $100+ on a new old-stock remote, if I could even find one for sale. So I thought about it for a while. Maybe it would be compatible with my Logitech Harmony 650 Universal Remote. I looked it up. Yep, it would be, at least at a minimum for on/off, volume, etc. I was hoping that it would provide access to menu settings as well. It would be a gamble. I went for it. A couple days later, the Lexicon MC-8 arrived from The Music Room in a big component box, tightly packaged, with power cord. That was it. No manual, no remote. Just as ordered, just as promised. I was still nervous. How would it sound? Would the Harmony 650 work with it? Would I be able to figure out the menus? My first step was to unbox and hook it up. Then I quickly downloaded the Lexicon MC-8 manual. I asked my 11-year-old son to configure the Harmony 650 remote. Figuring out the right buttons to use to access the menus and settings was going to be an adventure. It didn’t take long to realize that I’d have to access menu settings via a connected TV or monitor. (Menu settings aren’t available on the front panel.) So connect it to the TV I did. Yep, there they were, all the settings I needed. Speaker size, distance, etc. And, the Harmony 650 offered a wide selection of runtime options directly on the remote’s tiny little screen. My nerves were starting to ease. I popped in a DVD: Diana Krall Live in Paris. I experimented with various surround modes, eventually settling on one of Lexicon’s proprietary Logic 7 modes. Astounding. I sat there with my jaw open. It was that surprising. Quiet background, uniform sound, detailed instrument presentation. Even the subwoofers seem more integrated. The sound was seamless. It was as close to being there in the 12th row as I could imagine. 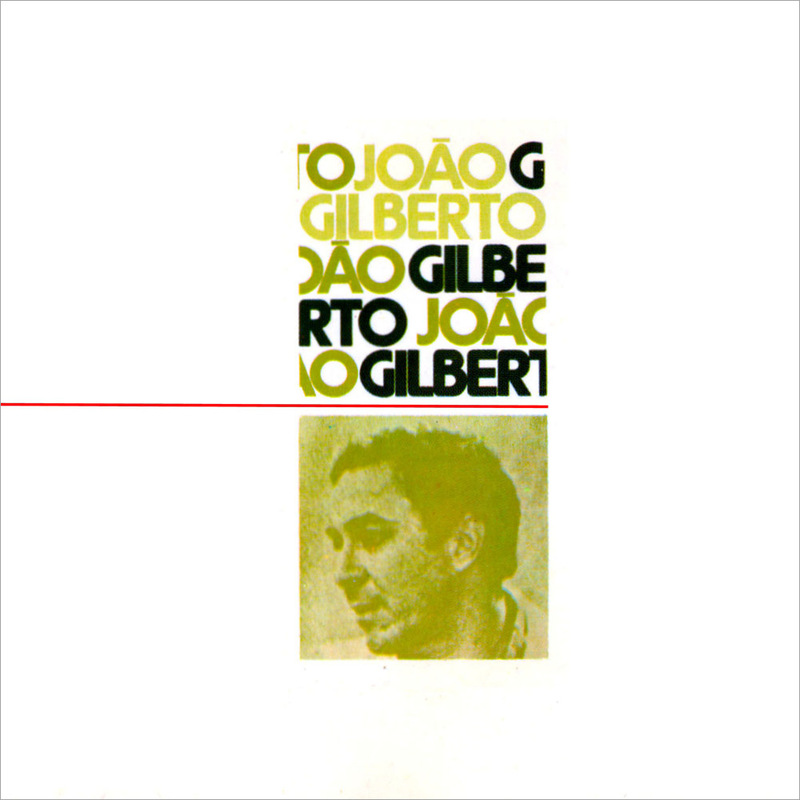 I popped in a CD: Joao Gilberto’s self-titled, so-called “White Album”. The stereo separation instrument separation on this simple mix are striking through the Lexicon MC-8. The background is blacker, quieter. The recording space is deeper. The variation in recording approach from track to track is more evident. By comparison, while the sound of the Marantz SR6001 was acceptable, the Lexicon made it sound grainy and lacking in detail. I hadn’t been unhappy with the Marantz in surround mode, other than the center channel cutting out from time to time. But it turns out I didn’t realize what I was missing, or perhaps I didn’t know enough to be critical of the Marantz at the time. Or maybe I would just more focused on the two-channel experience I was having without the Marantz in the processing chain. Now, I’m a few weeks into living with the Lexicon. It was a bit of a risk at first, but this all seems to be in the past. And sometimes, reward comes with risk. I couldn’t be happier. I’m rediscovering lots of DVDs and Blue-rays I hadn’t watched in years. I’m watching more movies. I’m listening to more two-channel music. I’m buying and borrowing more DVDs, Blu-rays, and CDs. I’ve simplified the system, and it’s taking up less space overall. I’m happy to have a two-channel setup with remote control. I think the Lexicon MC-8 will be part of my system for years to come. I don’t think I’ll sell the Marantz SR6001. It’s a nice big heavy unit, for when the mood for such components happens to strike. Maybe I’ll set up a little two-channel office system around it. At 100 watts per channel, it will be overkill, for sure. It has a plethora of inputs, far more than I need for an office setup. At any rate, I should be able to get a few more years of service out of it this way, and I paid next to nothing for it in the first place. This said, I’m not opposed to acquiring more products from Lexicon, should the need and opportunity arise. The MC-8 is one impressive unit, a game-changer in my world, from my point of view many years down the road from its original release. The bottom line? If you’re looking for excellent two-channel and surround performance in a home theater pre-pro, and you don’t need HDMI support or room correction, take a look at some of these older high-end models. For pennies on the original shelf price, you might be in for a big surprise. The Lexicon MC-8, in particular, could satisfy listeners looking for all this in a low-profile chassis.